; What’s Faith Got To Do With It? How a young Guyanese woman paddled her way to the shore of success with mustard seed faith. – Guyanese Girls Rock! ABOUT THE AUTHOR: My name is Feigel Niles. I am a Seventh Day Adventist Christian young woman who hails from the mining town of Linden, South Amelia’s Ward. I am the fourth of nine children. I attended the Amelia’s Ward Nursery and Primary Schools respectively. After completing my common entrance exams, I attended the Mackenzie High School where I was streamed in the arts class. I wrote nine subjects and obtained passes in seven. I went on to the Institute of distance continuing Education and wrote three subjects. I failed English a second time. In my quest for a higher education, I applied to pursue studies at the University of the Southern Caribbean in Trinidad. I was accepted as a provisional student, which meant I had to rewrite CXC English before completing my studies. During my program of study I passed my English Exams. In September 2008, my real journey of faith started when I left Guyana with only 25USD in my pocket of which my grandmother Lenora Niles gave me and of whom I lost to cancer a few months ago to pursue my studies. My Tuition that semester was 3000USD. But my faith in God made it possible for me to get through these years of hardship. I worked as a student and was involved in lots of Missionary work of which I still enjoy today. In 2013, I graduated with a bachelor of Science degree in Family and Consumer Science and a Minor in Health from Andrews University, Michigan, USA. After returning home to seek employment, I served as the managing director of the Helping Hands Travel Consultancy online and then as the principal of the Agape Educational Institute in Port Kaituma. It was during this time I met a young lady who dropped out of school since grade seven. She wanted to go back to school at the age of 15. 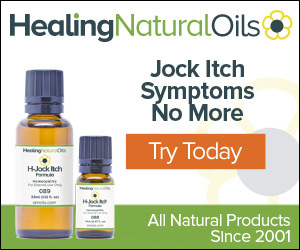 I reached out a helping and was able to send her back to school. Then more persons asked for assistance , but I could not help everyone. So one day I sat in my office and I asked myself the question, ‘What can I do to help these children? I decided to finish penning my book that I started in 2014. In January 2018, I released my amazing story, “What’s faith Got to do with? by Feigel Olive Niles. I am now an Author, Health and Wellness Educator and the CEO and Founder of the Feigel Olive Niles Foundation which will help to Educate our boys and girls in the Hinterland regions. Life was very difficult growing up, and I always told myself that one day I will climb that ladder of success. I remember going to school with just my bus fare and was not sure if there was food at home to eat when I returned. But I was blessed with folks who looked out for me to lend a helping hand. I was not the number one student in school, but I stayed close to the summit. I became the first person in my paternal side of the family to obtain a Bachelors degree. What's Faith Got To Do With It? 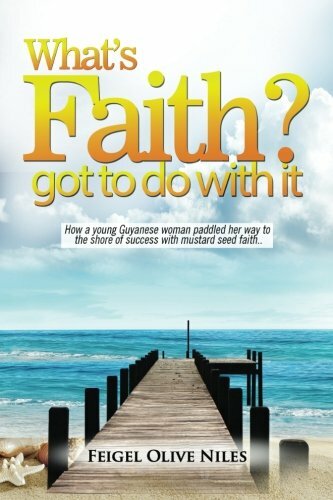 : How a young Guyanese woman paddled her way to the shore of success with mustard seed faith. This book features the first twenty seven years of my life. Faith has played an integral role which has fueled my path to a successful life. If I had to live my life all over, I would choose faith as a guide. According to Pastor Andrew Chichester of the Guyana Conference of Seventh Day Adventist located in Guyana, South America, He said, "Using the powerful theme of Faith, Ms Niles has been able to capture and put into perspective her deep and sincere encounter with God. She draws from her personal experience practical lessons that are truly inspirational and motivating in nature." Author Feigel Niles guyanese What's Faith Got To Do With It? Congratulations on your journey to the top. With God all things are possible.